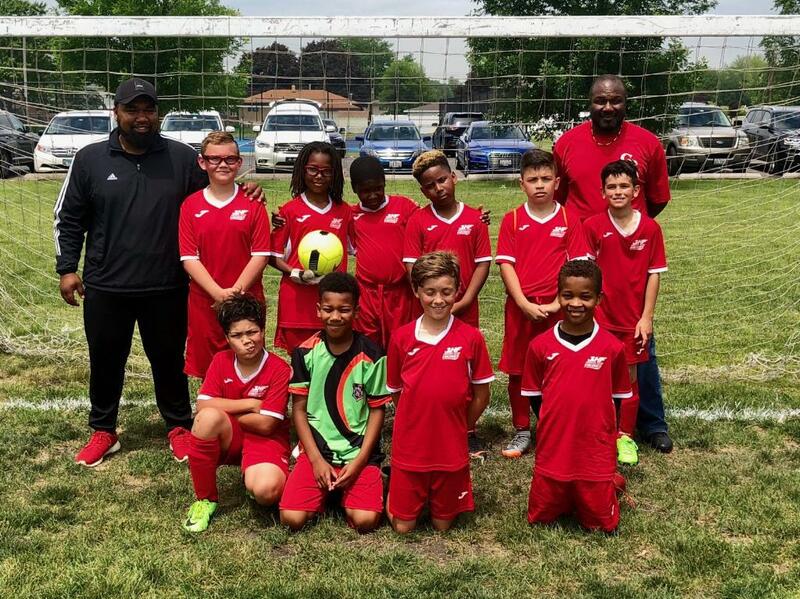 All the efforts of our hardworking U11 (now U12) team paid off as they took 1st place in the 2018 Spring season of play for the Northern Illinois Soccer League U11 White Division! Scoring a total of 30 goals, this is their very first Division Champion win! Coach Bernard says, " In order to take first place for the season we had to win our last game and BIG against the Midwest Wings. The result of this game would decide if we took first place or not, and sure enough the boys out performed themselves. Not only did we beat the Midwest Wings, but we won 11-1! For me, the best part of this victory wasn't the end score, but having almost every player on the team score a goal in that game and seeing the boys work together on their own to make sure that everyone had an opportunity to score. That's a true TEAM WIN!" Spring Vikings U11 team with Coach Bernard Siliezar and Podgiee Scott. The team is comprised of polite, energetic, hardworking boys who are consistently eager to learn. Congratulations to Coach Bernard and the now U12 team! We can't wait to see what your hard work will accomplish this season! ©2019 Homewood-Flossmoor Soccer Club / SportsEngine. All Rights Reserved.